Linda Berry received an MSSW in Social Work from the University of Louisville. Linda has college degrees in psychology, math, and computer science. 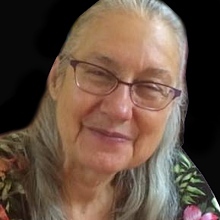 Linda graduated from the Avalon School of Astrology with a specialization in Vibrational Astrology in 2015. Linda also writes inspiring mystical poetry and is the author of Awakening from a Deep Sleep. She has also co-authored the book Vibrational Astrology: Interpreting Aspects, which has received excellent reviews. Linda is the head of the monthly Vibrational Astrology research group, a practicing Vibrational Astrologer, and a practitioner of Tai Chi. She has also done extensive work and research on minor planets, trans-neptunian objects and asteroids. She is now teaching online classes in Vibrational Astrology and she has given lectures on astrological research. Linda has also written a software module that can be accessed from within the Sirius Software called Frequency Analyzer. This software module finds and displays planetary patterns in a way that is very helpful and useful for Vibrational Astrologers.